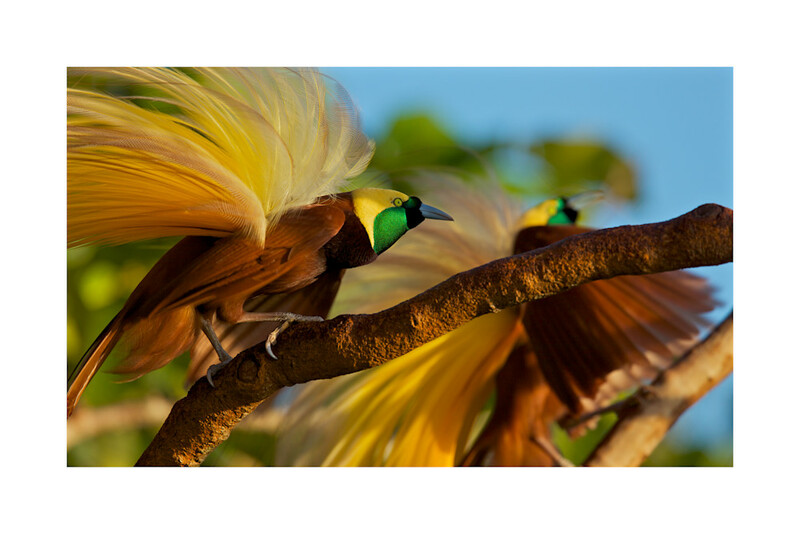 Greater Bird-of-Paradise Males displaying in Indonesia. Two Greater Bird-of-Paradise males with plumes fully raised, perform their courtship routine along branches high in the rain forest canopy. Aru Islands, Indonesia.